EcoStruction uses the process of Rammed-earth and concrete to construct walls for commercial and residential structures. 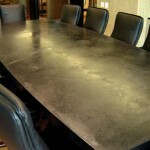 As demonstrated in these examples, the process also lends itself beautifully to counters, floors and tables. When using this form of construction, we eliminate the need for almost four sub-trades and hundreds of toxic chemicals. 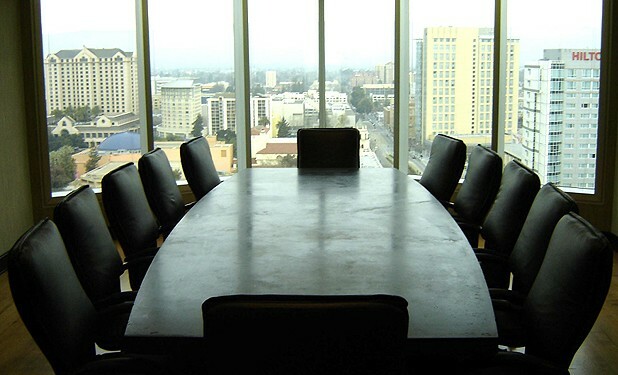 The conference table, and complimentary countertops, were designed, constructed and installed exclusively for the San Jose, California law firm of Mount & Stoelker. The table and countertops are composed of Rammed-earth, Portland cement, sand, a non-toxic colorant and an aggregate. The beeswax finish is applied using heat that fuses the surface and is completely non-toxic. Cleaning the surface requires only a dry cloth, applied with some pressure, to polish out any scuffs or marks. 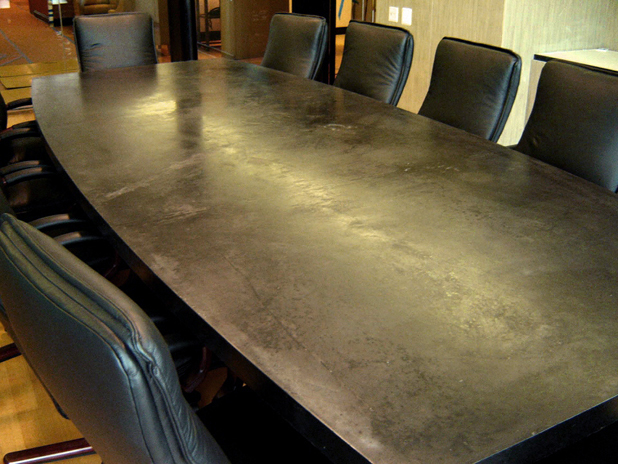 The bases of the conference table are constructed using Italian Poplar and Dark Walnut. The trim pieces are made from Mahogany refinished with a black, water-based lacquer. The interior frames of the bases are constructed with a high grade Douglas fir. Drawing on our experience with eco-friendly materials, EcoStruction is able to design and create unique pieces to compliment any environment.